Learn about the positions over and under with help from a couple of cool airplanes on this cute coloring page. This Mary Had a Little Lamb coloring page depicts a heartwarming scene from the famous nursery rhyme. This Little Boy Blue coloring page features the cutie pie fast asleep on a haystack. Add colour to bring this peaceful scene to life! Familiarize your child with some simple sight words and rhymes with this coloring page of "Mary, Mary Quite Contrary". 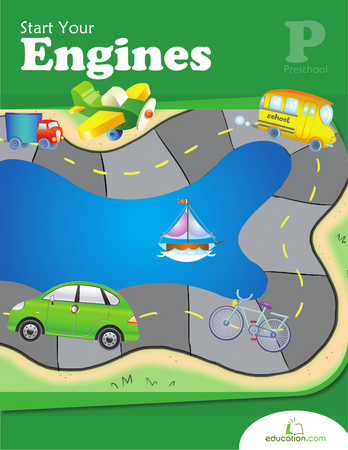 Help your preschooler practise recognizing the letter Q by coloring little Queen Quinn. Familiarize your child with some simple sight words and rhymes with this coloring page of "Diddle Diddle Dumpling". Familiarize your child with some simple sight words and rhymes with this coloring page of "Hot Cross Buns". This "Baa Baa Black Sheep" coloring page encourages your child to think of the simple sounds, songs, and sight words in the nursery rhyme. Familiarize your child with some simple sight words and rhymes with this coloring page of "Jack Sprat". 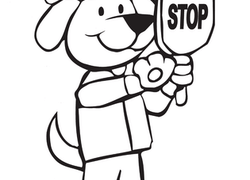 S crossing guard coloring page features Oscar the dog decked out in his crossing guard gear! This makes learning the letter O fun! Who's in the mood for a PB & J? Engage your little learner with a fun coloring page, featuring a few classic sandwich toppings: peanut butter and jelly! Got milk? With this coloring page, you'll have plenty! 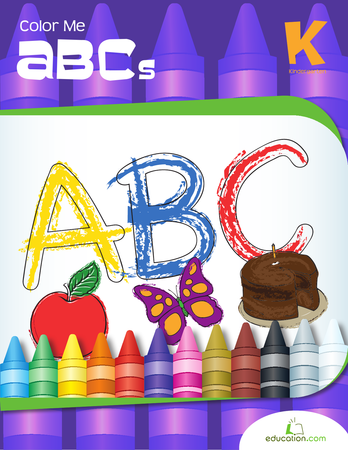 Teach your child about the different types of food we buy at the grocery store as she colors.